There are three variations of headsets gamers desire: the cheap ones just for console chat, expensive, surround-sound multipurpose headsets, and those falling somewhere in between the two extremes. The Logitech G430 falls into the last category, leaning slightly toward a more expensive, high-quality model. With a black and light-blue color scheme, the headset looks like something straight out of the Deckers’ ensemble in Saints Row: The Third. It’s stylish and certain to impress even the most casual of gamers with its pleasing aesthetics. A six foot (or so) long braided cable allows you to travel a bit away from your computer without causing a snag or taking the the headset off, but it could be slightly longer for total convenience. One of the coolest features is the USB adapter that the cord plugs into and allows you to input both the microphone and the audio through one USB port. It certainly helps clean things up in an environment often filled with cords. The cloth-covered earpads are comfortable enough, at first, and they do well to nullify outside noises, but extended periods of gaming can quickly grow uncomfortable as the cups firmly cup your ears, rather than simply resting on top of them. The padding itself is removable, replaceable, and washable, allowing you to save some cash if they need to be replaced, but breaking in the headset does take some time. While the microphone can obviously be rotated vertically, it doesn’t do so well horizontally, which can cause issues with volume levels when in chat. Mic levels are adjustable, however, via software. While control over the bass, treble, and surround sound are nice, they aren’t required unless you’re truly into optimizing your experience. Apparently the software isn’t supported on OS X, so Mac gamers will have to wait for Logitech if they want to enable their 7.1. Regardless, the G430 does a good job at creating an immersive experience. If you’re in the market for headsets with standard volume controls on the cord, rather than on the headpiece itself, you’re in luck; the G430 lets you change volume levels and toggle the mute on and off through a corded control module. Due to the length of the cord, however, it will often need to rest on your lap or hang off the chair beside you, which can be inconvenient. The Logitech G430 boasts 7.1 surround sound, and I can vouch that it is indeed impressive for the price. My only issue came about when I first started using the headset with games that weren’t actually recorded with surround sound functionality. After doing some research, I came to find out that the headset actually requires some drivers and software to work compatibly with these titles. Fortunately these drivers can be downloaded from Logitech’s website, though the fact that the headset doesn’t work perfectly straight out of the box is a bit inconvenient. It would be understandable if this were a mouse or a keyboard, but every other headset I’ve used has worked correctly from the second I’ve plugged it in. It’s worth noting that this is a PC gaming headset, it will not work on your Xbox or PlayStation. While there are some issues regarding cord length, OS X support, and slight discomfort, they’re easily overlooked by the fact that for the price, you’re really getting a great product. I fully recommend going this route if you want something similar to Astro’s headsets but don’t want to drop $200 on a single product. Why is it so much cheaper you ask? 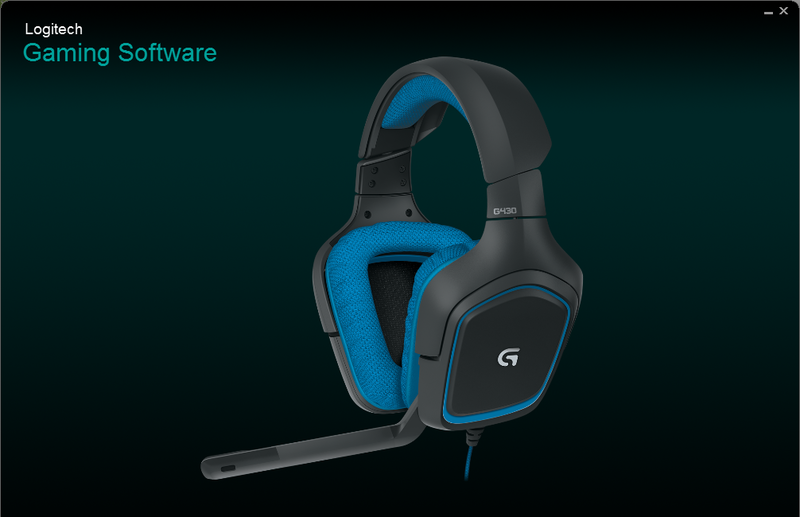 The surround sound isn’t actually generated by the speakers, but through Logitech’s software, allowing them to price themselves much lower than other 7.1 headsets. This was a new concept for me, but I can promise you one thing–surround sound emulation has never sounded better.